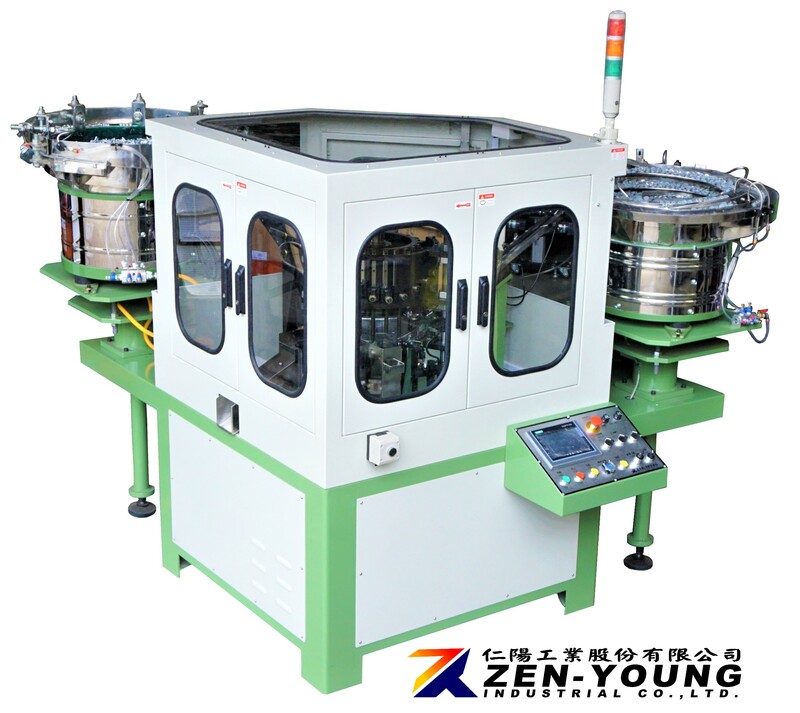 Nail / Screw & Plastic / EPDM Washer Assembly Machine(ZYLC) - Zen-Young Industrial Co., Ltd.
● Newly patent machine solves problem for bending nail or skew head of nails could not assemble automatically . ● After assembling, the washer will be close to the bottom of the nail head. Changing molds to assemble different sizes of nail or washer. Sensing for every process of machine motion, easy to operate and eliminate malfunction, and protect the safety for machinery and operator. 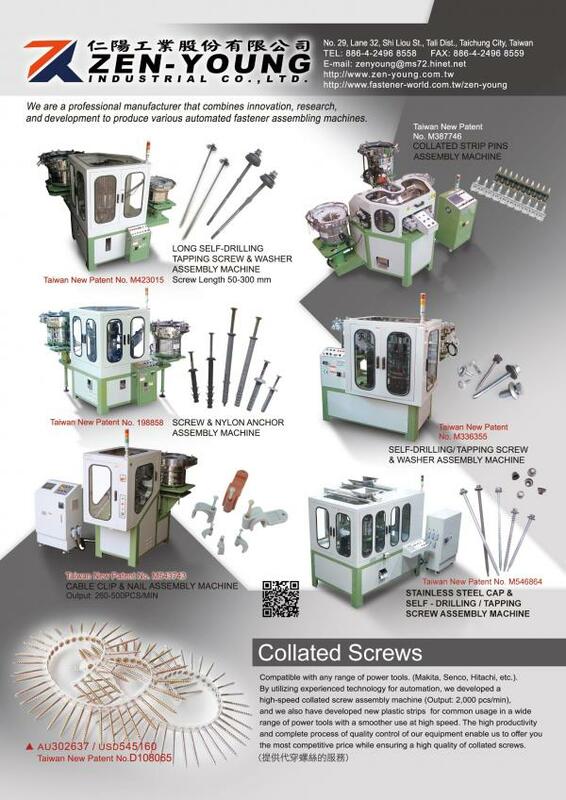 100% Sorting device for unassembled nail or washer. When the supply of nail or washer is late, the machine will stop automatically. After the feed tracks are full of nail and washer, the machine will be automatic movement.